Oil is not the only lubrication in your automobile that needs to be changed at regular intervals. Transmission fluid is a lubricant that should be changed out at regular intervals, depending upon your car make and model. Just like oil, transmission fluid breaks down over time and can get debris in it. When the fluid breaks down, the gears in your car’s transmission will begin to wear at a faster rate due to increased friction from decreased lubrication and debris. Need help fixing or diagnosing a transmission problem? 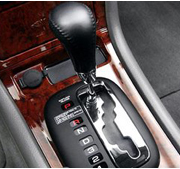 We provide the best transmission repair service and replacement of any transmission repair shop in Inglewood, CA. We provide free estimates, diagnostics and have the best mechanics of any place in the Inglewood, CA area. Broken parts, funny sounds, leaking fluid, no problem! Transmissions tend to be very complex, and as such, when it comes to Inglewood, CA transmission service and repair, it is best to leave it to the professionals. Here at L.A. NTX Transmissions we employ some of the most experienced mechanics around and can service a wide range of vehicles, including BMW, Audi, Volvo, Mercedes, Volkswagen, Saab, Porsche and Jaguar. Although we provide a wide range of transmission services, Inglewood, CA transmission repair and rebuild is our specialty, it is in our name after all. When you need to have your transmission repaired or rebuilt in Inglewood, CA, it makes sense to want the best people available to perform the work. If you want the best transmission people in Inglewood, CA, you want the professionals at NTX Auto. No matter what type of problem you are having with your transmission, from fluid leaks to stripped gears, our mechanics can help you today! The Best Transmission Repair Service in Inglewood, CA! Inglewood, CA transmissions repair and replacement tends to be a rather complex and time-consuming service, and as such it can be quite expensive for many vehicle owners. When you spend so much money on repairs for your vehicle, you want to be sure that those repairs will last; that is why we offer all of our Inglewood, CA transmission repair clients an 18-month / 18,000 mile warranty on all work we perform, including transmission service & repair.